Four years after adding a baseball team, the NCAA-registered team is set to begin its third season this February. Larrinaga said that it’s important to make sure everyone on the team is working hard and preparing for their opportunities. The team’s schedule is a busy one, with nine double-headers built into the program. Larrinaga says that the season does feel quick, but he likes the format because it allows the team to get more games in and not have to sacrifice time away from the classroom. On Feb. 1, the team opens with the first of four back-to-back games against California State Polytechnic University. All four games will be played at the newly constructed Mountain Lion Park off of North Nevada Avenue. 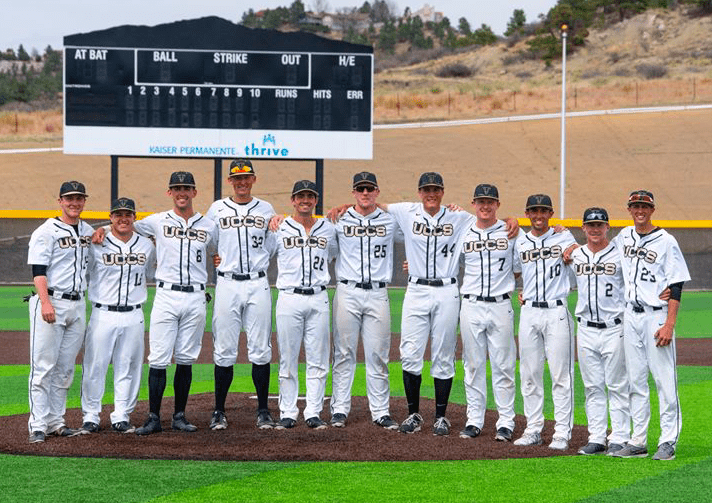 With thirteen freshmen and just five seniors on the roster, this is UCCS Baseball’s youngest roster since the inaugural season. Larrinaga says that while the team is much younger than last season, a lot of players who contributed in their freshman and sophomore years are returning to the team. Larrinaga also says that the team carries a lot of experience on the mound with four seniors and two juniors. With this being his third year as a coach with UCCS Baseball, Larrinaga says he has had a lot of fun watching the program grow from the inaugural season to now.